Hello! Yesterday I went to hang out with my tiny niece. She was camera shy so here’s a sad consolation prize of my excited face. 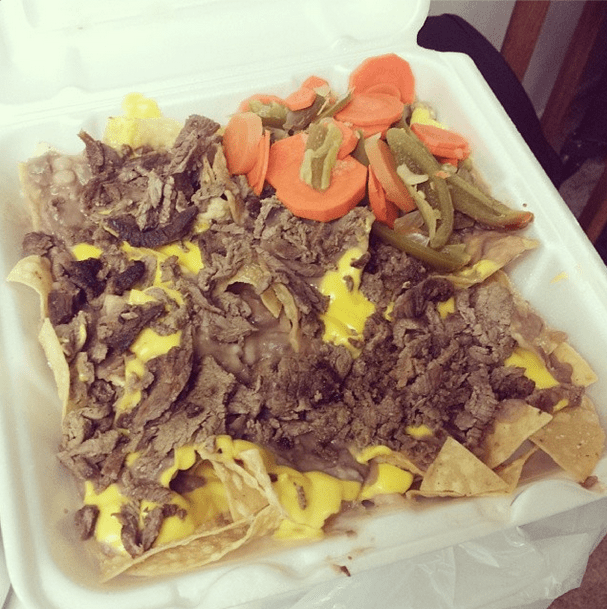 And I ate nachos. Busted. 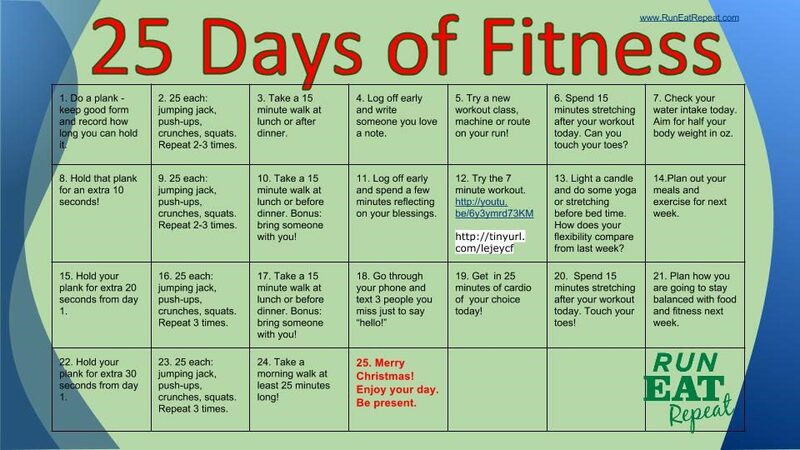 So, I really need this 25 days of Fitness Challenge to help me stay on track in December! Who’s with me? Day 1 – Do a plank, keep good form and record how long you can hold it. 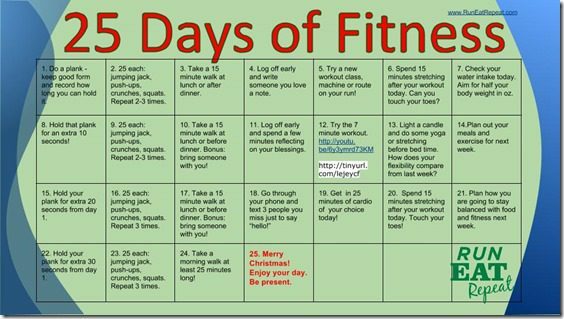 Question: Are you in for the 25 days of fitness? Did you do your plank today? I know its well past December, But I am considering introducing this workout to my guys. What did it feel like, pls share your feedback…. I have also join to this 25 days of fitness challenge,Is this possible or not. Next year I should try to join it. I’m in. I did a 50 second plank with a puppy trying to give me a toy to play with the whole time. I am in and I did a minute plank last night. I’m in. 45 second plank. My cat always has to stare at me while I am working out. It’s very distracting! Yes! Just did my first plank for the challenge and my arms are definitely weak, definitely need to step it up! Also, what kind of mascara do you use? My eyelashes need it! I’m in! Did a 2-min plank before my yoga DVD. I then ate a significant amount of eggplant parm pizza, but that’s another story! I’m in! My daughter and I both did planks! She lasted longer! It’s on! heck yes! Still need to do that plank today! I’m in all the way!! I’m in and my plank is done. I love that you have these plans – they’re so motivating! I’m in. My plank was 1:30. Realized afterwards I have to beat it next Sunday…that’s going to be hard! 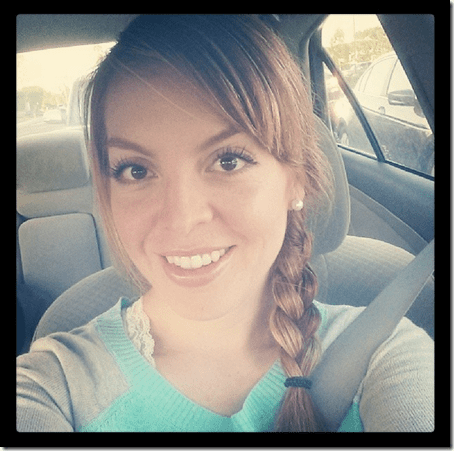 I am in for th 25 days of fitness challenge! Got the plank in at 1:30 seconds. By the way, Vegas might be interested in friending Niles Gato on FB. I’m in. 1 minute, despite Harry (my kitten) rubbing against me and purring. 45 seconds! And with a kitty pestering me the whole time lol! Yes and yes! One minute fourteen seconds. I know I can do better, but that’s what this month is all about! I forgot about this but I am glad you reminded me! I am going to do those planks now before I forget. Great idea! I am going to incorporate this into my fitness plan for December! Count me in. Great challenges. I hate the plank but it’s such a good exercise. Planks are my favorite. My puppy dog always tries to get in her licks whenever I’m on my exercise mat too. It makes for some fun attempts at yoga and stretching…. I love this challenge! I am in. I’m in for the 25 days of fitness, but my plank has not been completed just yet. It will be soon though! I am definitely going to join in this challenge. I have a few short term goals i want to hit before the end of the year! Sounds great! I’m on it! Those nachos look DIVINE by the way! I love this idea! I love planks and really need to work them back into my routine! I have gotten away from them and they are so great for ab work! I’m in for 25 DoF! Will plank after my walk today:). I’m in! Love this!! Having a hard time staying focused & eating well, so this is great fuel to stay on track this month. Thank you!! I am in and just did my first one for this challenge.